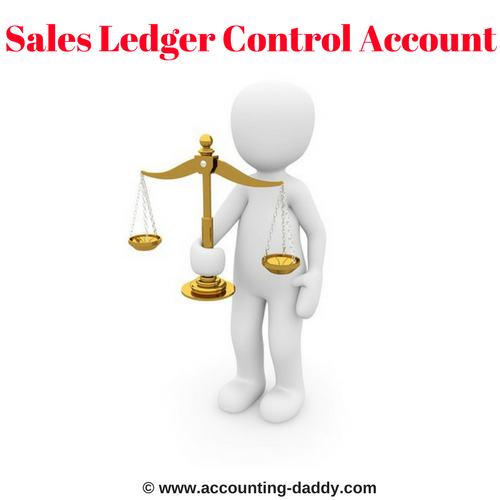 Sales Ledger Control Account is a summary account which checks the arithmetical accuracy of the Sales Ledger. It enables us to see at a glance whether the general ledger balance for the sales ledger agrees with the total of all the individual trade receivable accounts held within the sales ledger. Sales Ledger Control Account typically looks like a "T-Account" or a replica of an Individual Trade Receivable ( Debtor) account, but instead of containing transactions related to one trade receivable (Debtor) it contains transactions related to all the trade receivables (all the debtors) in the business. As this control account contains the summarized information of all the trade receivables accounts in the sales ledger, it is also called as "Total Trade Receivables Account"("Total Debtors Account"). Check out the format of this control account below and try to perceive the similarities with individual trade receivable account (Debtors account). 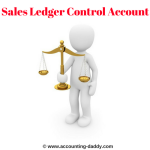 Sales ledger control account is generally prepared at the end of the financial year or "whenever" it is required to check the arithmetical accuracy of the individual trade receivable accounts. 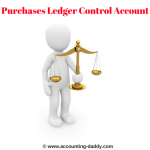 As we discussed earlier, this control account is prepared as an independent check on the arithmetical accuracy of the sales ledger (Debtors Ledger). So, we should not obtain the information required to prepare this control account from the Sales ledger (Debtors ledger), instead all the information required should be obtained from books of original entry or prime entry. 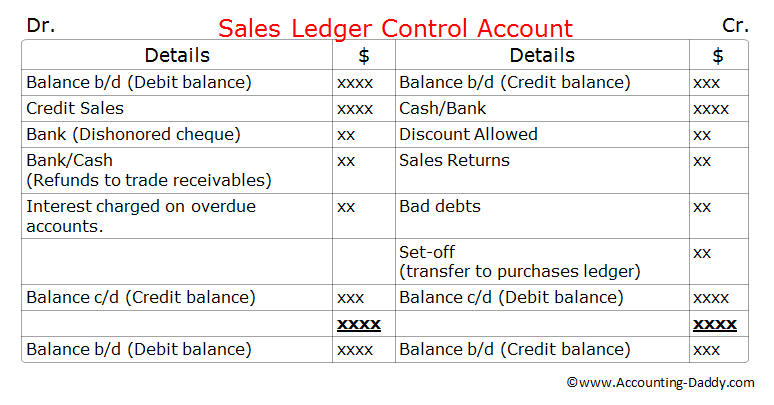 Once the control account is prepared using the above format with the information obtained from various books of prime entry/original entry, the total of balances on the individual trade receivable accounts in the sales ledger should match with the closing balances on the Sales ledger control account. If the closing balances of sales ledger control and the total of balances on the individual trade receivable accounts in the sales ledger agrees, we can presume that there are no errors or fraud occurred in the sales ledger. If the balances differ, it indicate that there are errors in the individual trade receivables accounts in the sales ledger or in the control account. So to locate these errors, accountants need to check each and every trade receivables account in the sales ledger carefully until the error is found or the fraud is detected. 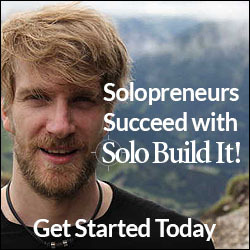 The following table provides the details of source of information for the sales ledger control account items. Total of Trade Receivable' balances at the end of the previous accounting period. Total Credit Sales from the Sales Day Book (Sales Journal). Total sales returns from the Return Inwards Day book (Sales returns journal). From the cash column on the debit side of the Cash Book. From the bank column on the debit side of the Cash Book. Total of the Discount column on the debit side of the Cash book. From the the Journal (Proper Journal). From cash/bank column on the credit side of the Cash book. Total of Trade Receivable' balances at the end of the current accounting period. Items should not be entered in the Sales Ledger Control Account. The following items are often seen in the control account questions. As these times are closely related to the "sales and trade receivables", students often confuse and record them in the S L Control Account. But these items should not be recorded in the control accounts. Lets check these items below. Cash sales are recorded cash book but not in the sales ledger. So cash sales should not be entered in the S L Control account which checks the arithmetical accuracy of the sales ledger. If previously written off bad debts are recovered now, it should not be recorded in the S L Control Account as "bad debts recovered account appears in the general ledger but not in the sales ledger. Provision for doubtful debts account is kept in the general ledger. An increase or decrease in the provision for doubtful debts affects the general ledger but not the Sales Ledger. So it should not be recorded in the S L control accounts. An error in one of the individual trade receivables account. Over payment made by the credit customer (trade receivable). Advance payment by the trade receivable for the goods. Accountant forgot to deduct the cash discount before collecting the amount from the credit customer. A Trade receivable returns the goods after making the full payment but he is not yet refunded.